The rumours that Amazon's Alexa products are secretly listening to its customers has now finally proven to be true since a new report conducted by Bloomberg, that has spoken to employees who do the job. Workers in Boston to Costa Rica, India and Romania are hired on full-time by Amazon to review demands made by customers when asking Alexa to do something. 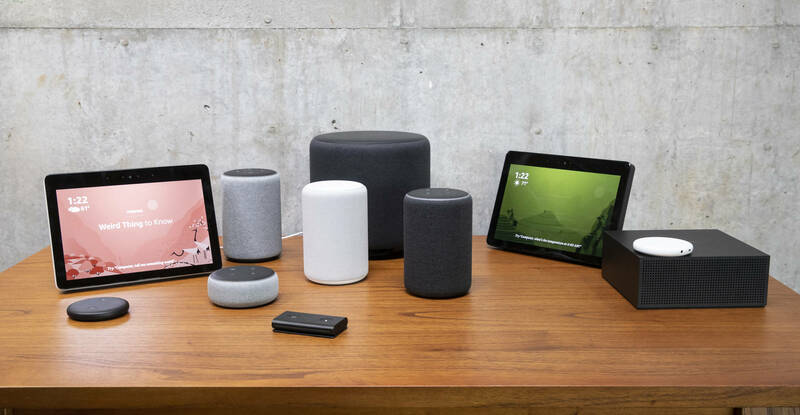 According to the publication, each employee works nine hours a day, listening to Echo owners’ homes and offices, which equals to as many as 1,000 audio clips per shifts. The point of the job is to better understand demands made by humans to eliminate gaps in Alexa's understanding to make her responses more coherent and better. A few employees tell the publication how a few overheard happenings by Echo owners can be boring, like someone singing in the shower, while some can be disturbing such as a sexual assault one employee overheard. Since the idea of a product listening in on your personal conversation is scary enough, a spokesperson from Amazon responded to the report, explaining how "security and privacy of our customers’ personal information" is taken very "seriously." “We only annotate an extremely small sample of Alexa voice recordings in order [to] improve the customer experience. For example, this information helps us train our speech recognition and natural language understanding systems, so Alexa can better understand your requests, and ensure the service works well for everyone," the spokesperson detailed.